The Bronx Bombers will host the Toronto Blue Jays on July 14th at Yankee Stadium in the Bronx. Local 300 members can purchase tickets to the game at a cost of $25 each, and for those branches that can fill a bus, $20 each per bus seat. Join us at what is sure to be a memorable game. June 9th at 1:10PM, the New York Mets will host the Colorado Rockies at Citifield. Come on out and join your sisters and brothers in Local 300 as we enjoy the game. Bring your friends and family. Tickets are $25 each and for those branches that can fill a bus, $20 a seat. Leave policy effective on January 5, 2019. Postmaster General Megan Brennan declared Wednesday, December 5, 2018, as a Day of Mourning to commemorate the passing of former President George H. W. Bush. Postal facilities were either closed or personnel were allowed future administrative leave of one day. The question is: How long do I have to use this administrative leave? 100 Year History of the Labor Movement in this country. 2018 Local 300 Scholarship Winners announced. 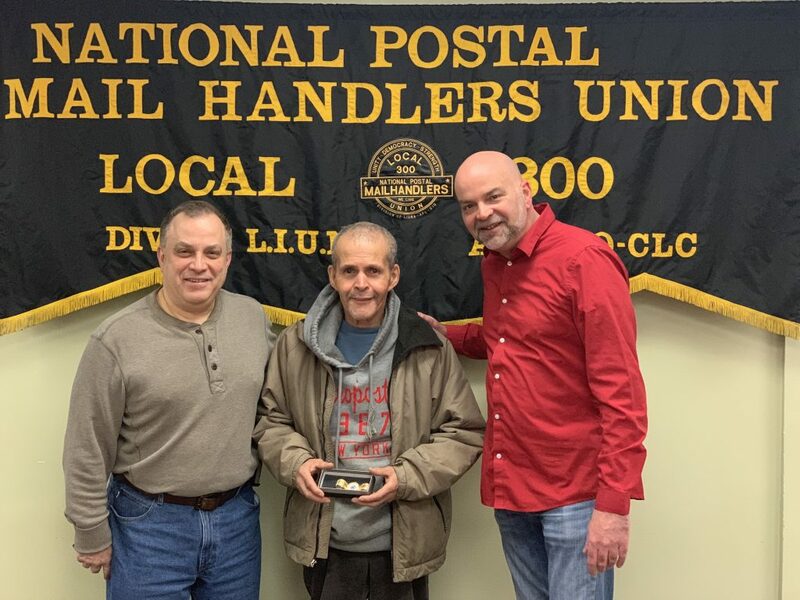 DVD mail handler Andrew Olmeda accepts his Union watch from the NPMHU as he completes his career with the USPS. 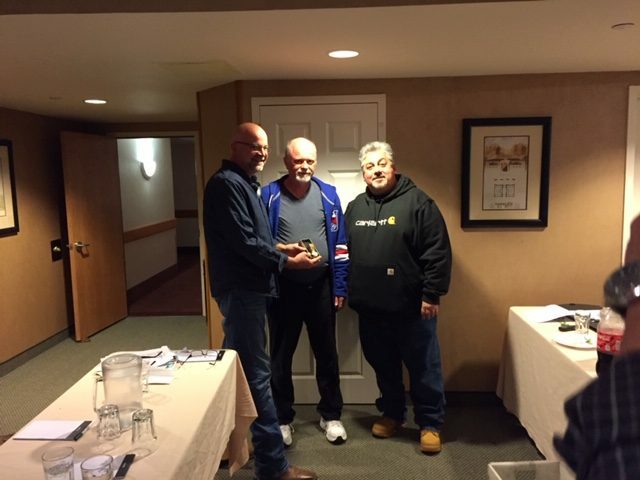 Local 300 President Kevin Tabarus and DVD Branch President Ray Bermudez honor Andy for his 39 years of service and Union affiliation. 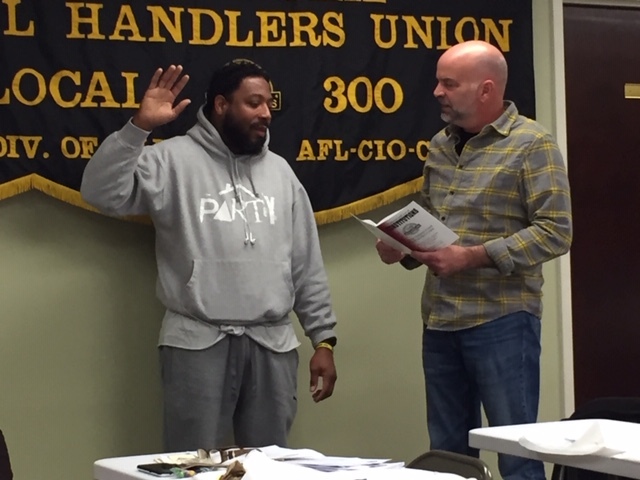 Local 300 President, Kevin Tabarus, administers oath of office as per the ULUC to Mark Chandler at Local 300 Headquarters. Howard Spindler selected as Brooklyn P&DC Branch President. Mail Handlers receive contractual increase effective November 24th 2018. 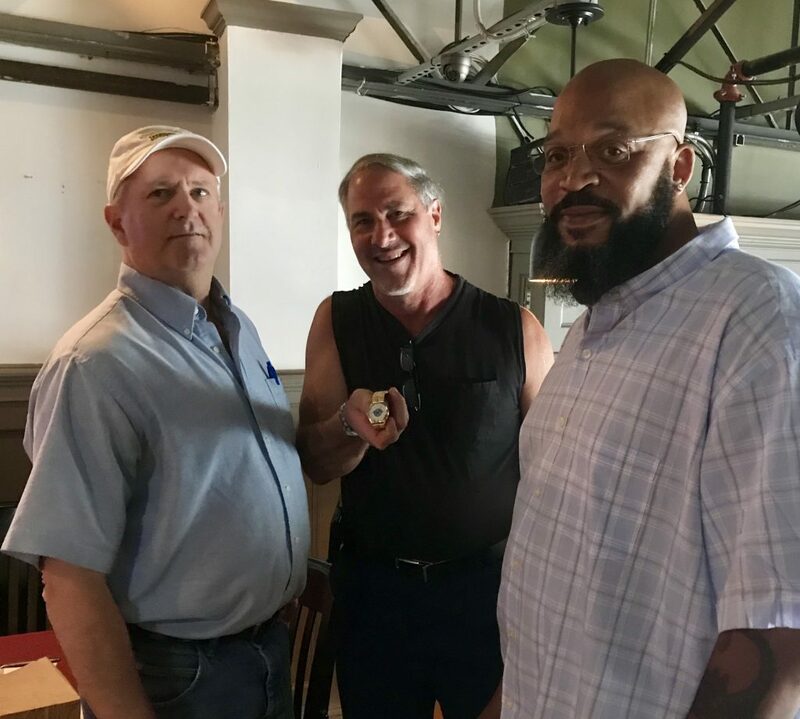 Brother John Sieler from the Western Nassau branch, takes a photo with Local 300 President Kevin Tabarus and Western Nassau Branch President Peter Bilotta. John retired from the USPS and we wish him the very best of everything. Kevin presents John with a watch from the National Postal Mail Handlers Union in recognition of his retirement and devotion to the Union. Local 300 raises awareness in the fight against breast cancer. 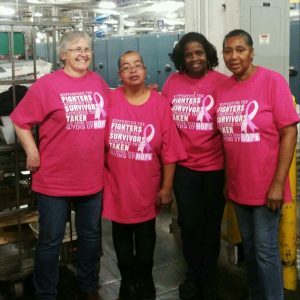 These proud ladies of Local 300 cheerfully wear their shirts supporting the awareness of fighting breast cancer. Local 300 Women’s Committee championed the purchase of these shirts by the membership to continue the fight against this disease. October is Breast Cancer Awareness Month. The shirts were made available to our members for purchase with a portion of each purchase being donated to the cause. 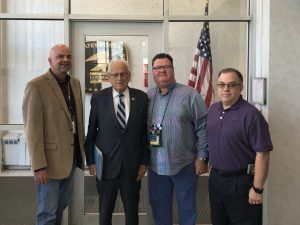 Congressman William James Pascrell JR takes time from his busy schedule to visit the Dominick V Daniels Processing and Distribution Center in Kearny NJ. Above from left to right: Local 300 President Kevin Tabarus, Congress William James Pascrell JR, Local 300 NJ State Representative Terry Flynn, and Local 300 Recording Secretary and DVD Branch President Ray Bermudez. The Congressman represents parts of Passaic, Bergen, and Hudson counties in NJ’s 9th Congressional District. On October 8th, tell Congress U.S. Mail is Not For Sale. COLA of $645 goes into effect September 1st 2018. 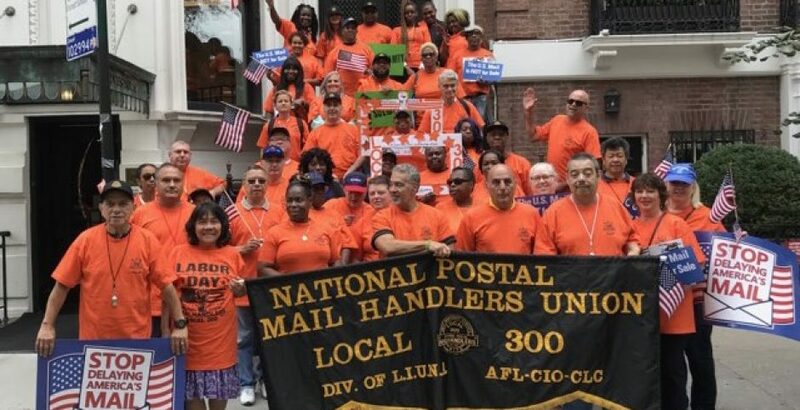 Local 300 salutes one of its own! James Zurzola displays his watch presented to him by Local 300 CT State Representative, Don Utz and Stamford Branch President, James Smith. Brother Zurzola retired from the USPS after working 33 years at the Westport station. Brother Zurzola accepted the watch at the Stamford Branch Meeting on August 18th 2018. 1. Download the app via your iPhone or Android device. 3. You will first be sent an automatic ‘verification code’ to your email this is verification of your email, and does not give you access to the app. 4. After you enter the code into the app you will be sent an email advising you that have been approved, but pending membership verification. 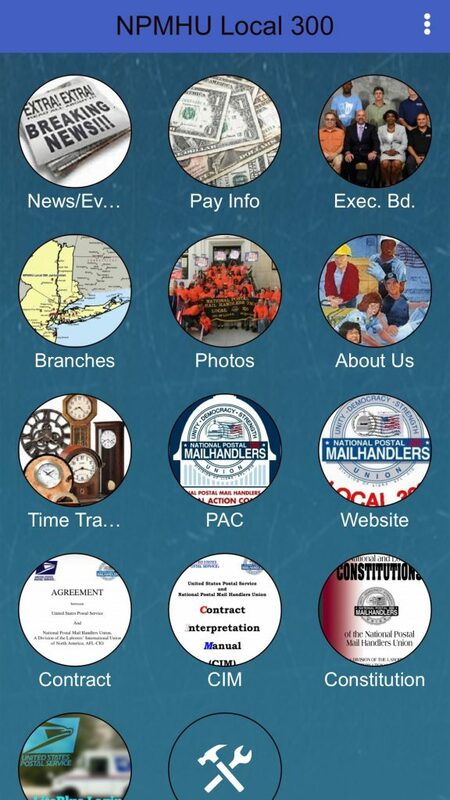 Be aware that you will not have automatic access to the app until we verify that you are a member of Local 300. 5. After the verification of your membership, you will receive a final email message indicating that you are approved. Log in, enter your password and start using the app.